These programs employ high-level encryption, two-step verification, and other features to keep your accounts secure, from free to affordable. 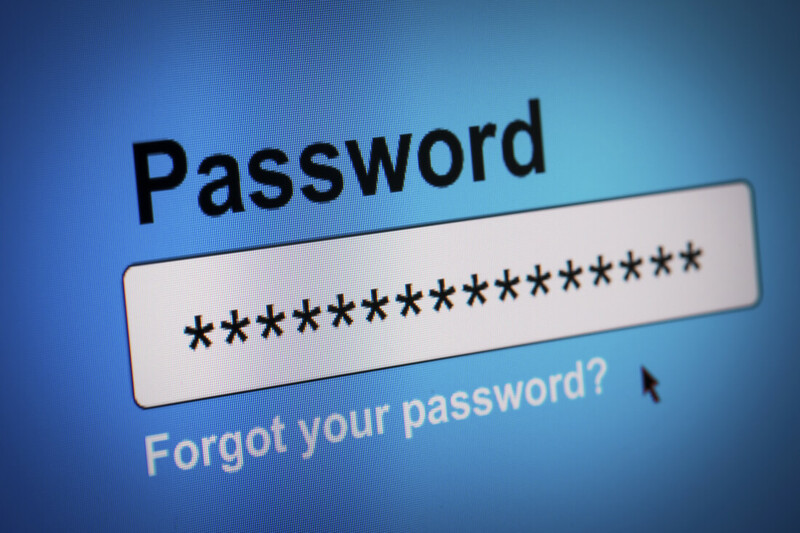 Using the same familiar password or PIN across all of your accounts might be easy and convenient, but it's not the safest bet -- 76% of data breaches involve stolen user credentials and passwords, according to a Verizon report -- so creating a unique password for each account, with a strong combination of letters, numbers, and symbols, is one of your best lines of defense against identity theft. However, trying to remember all of those passwords might keep you locked out. So how do you balance security and convenience? Installing a basic password manager on your mobile device can organize all your passwords in one place. The best ones offer additional security, helping you generate passwords, log in automatically, or even catch breaches. Many of today's top password manager apps are free, while others come at a price depending on the types of features and protection you're seeking. Here are six top picks. A good password manager doesn't just do all of the work for you, it puts you in command of your login information. LastPass is a good choice for people looking for password-generation flexibility. Generate random passwords, create specific ones, or let the app do it for you automatically. The comprehensive password auditing functionality digs deep into the depths of your passwords to find those that are old, outdated, or weak, and suggests alternatives to strengthen your account security profile. The conventional two-step dance is available for authenticating. To step things up a bit, LastPass users can also enable authentication with a YubiKey via their computer's USB port, along with their master password. Organization is simply organized on the LastPass app, grouping your passwords and info according to category (banking, social media, file storage, auxiliary info), and it's a cinch to sync with other shared users across a multitude of platforms. LastPass is free, but a nominal $1 per month upgrade gives you a premium account with unlimited syncing, family sharing and some other extended features. 1Password is the type of app that manages not only passwords, but bank account routing numbers, credit card digits, Social Security numbers, and even house alarm codes — any sensitive information you need to keep secret and retrieve. Everything is protected through AES-256 encryption and under one master password (hence the moniker 1Password), which is unlockable with Touch ID, so even if people get a hold of your mobile device, they shouldn't be able to crack the code. 1Password is compatible with Mac, Windows, iOS, and Android platforms. With a subscription, it offers unlimited device installation and a proprietary Strong Password Generator to upgrade your weak passwords. The cool thing about Dashlane is that it strategizes the passwords you create instead of filling them with random letters or numbers. The customizable toolbar up top allows you to choose your password length, or to select the order of digits or figures you want. As far as security goes, Dashlane keeps users covered like only the best anti-virus software can. It updates you on the safety level of your passwords, and you can then choose if you want Dashlane to automatically change your password to something stronger. The program is compatible with seven languages and can update passwords on over 500 websites. Plus, sharing/syncing, auto-form-filling, and a sleek user interface make Dashlane one of your best password management choices, despite a high annual fee. The premium version offers syncing across an unlimited number of devices on all platforms. The cross-platform Keeper digital vault has a clean, simple user interface for managing not only your passwords, but also multiple users, files, photos, and videos. It has the same AES-256 (military grade, according to Keeper) encryption plus PBKDF2, so your information and that of shared users remain safe. There's also a proprietary Keeper "DNA" system for two-step authorization. That means when you log in to a bank or social media account, it'll ask you to verify or deny your identity — one extra feature not always found on competing applications. Self-Destruct mode will delete all of the records from your device if the master password is entered incorrectly five times. While this feature assumes that an unauthorized person is trying to break into your device — and the issue isn't just your own brain freeze — know that your passwords aren't gone for good, simply stored in the cloud-controlled vault. Keeper's basic plan is free, with two upgrades available: $29.99 per year for an individual and $59.99 per year for families with up to five users. To call LogMeOnce a simple password manager would do this app a disservice; a password management suite is more like it. At the basic level, your passwords are fully protected across all platforms, from Mac and Windows to Android and iOS. Users can enter their main password to log in to their accounts, or forego the letter-number-character method with a secure photo login. The app's dashboard is customizable and comprehensive, and by swiping and rotating your finger across a colored dial, a password calculator generates a new password to save. But the big selling point for LogMeOnce is a mugshot capture feature. If someone steals your phone, the app will detect a break-in, snap a photo of your hacker, and track his or her surroundings with GPS. (You can even record the person's voice during an attempted hack.) A precautionary remote device wipe called a "Kill-Pill" erases LogMeOnce data, but don't worry — it's not cyanide for your phone. Your data is safe and secure remotely. For these protective features, a $39-per-year Ultimate subscription may be worth it. Password Boss touts its bank-security-level protection for safeguarding your data, encrypted and decrypted locally to avoid your sensitive info being intercepted. However, you can choose to store your data in the U.S., Europe, Asia, or Australia. So if you're stateside, take heart that your info can be hidden well on another continent. Password Boss' auditing system applies a score to determine how weak or strong your passwords are, and then suggests the strongest passwords across all your devices, accounts, and sites requiring a login. A basic account is free of charge, while Premium account gets you unlimited sharing and auto-backup. Nonprofits and charities can get copies of Premium software for free.